Scott Snyder may be having one of the best weeks in comics ever. 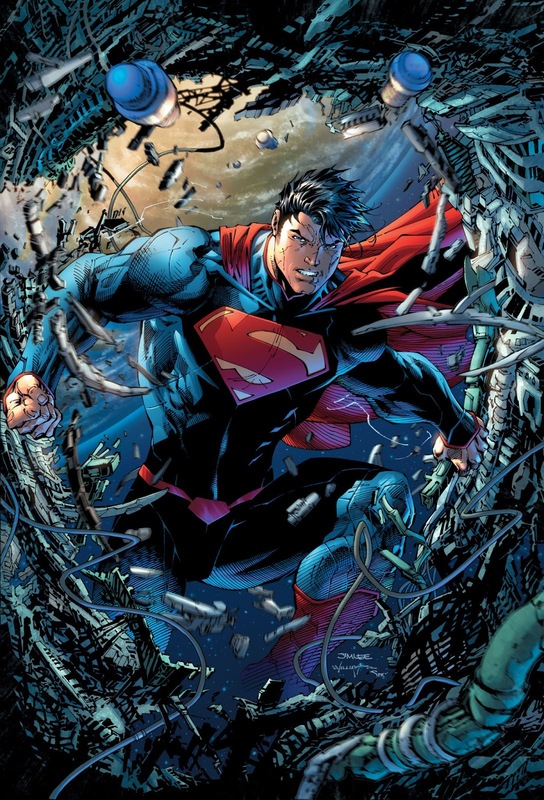 He debuted the new DC title Superman Unchained, began a new arc in Batman that explores his origin and examines the time he spent away from Gotham City after the death of his parents, and released a one-shot American Vampire story. I didn't get a chance to read American Vampire, but both Superman Unchained and Batman warrant your attention. I was especially pleased to enjoy the Superman title as he is one of my least favorite superheros. In the most shocking news ever to hit this feature, I did not pick a comic from the mind of Joe Hill as pick of the week! 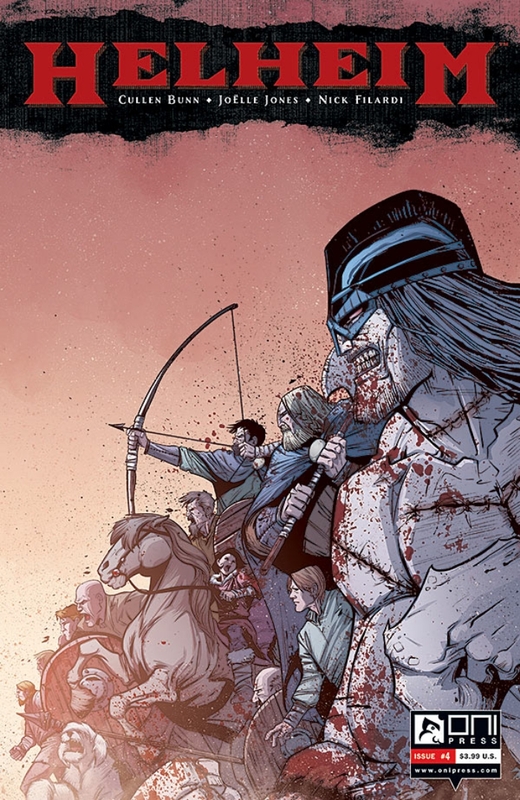 Helheim #4 - This series seems to get stronger with each issue and it was the pacing of this issue that set it apart from the herd. It begins slow and you get the feeling that it is going to be an issue that develops the story, but doesn't involve much action. It really felt like the calm before the storm and then the storm hits out of nowhere. The battle of the two witches is taking a greater toll on all of those involved and so both must be destroyed. Kirk, Rikard's father, faces quite the emotional decision. His goals involve killing the monstrosity that his son has become and both witches for the good of his people. He must swallow his pride and accept the help of the Draugr in the hopes that he survives the war only to kill what was once his son. The sheer amount of conflict that Cullen Bunn has packed into this series, both internally and externally, really gives this title the depth needed to counter the violence. Superman Unchained #1 - Minus the $4.99 price point and the gimmicky poster spread, this book was very enjoyable. To me what made me begin to appreciate Superman, who I find very boring and wholesome, was that you see him heading towards his breaking point and actually showing some emotion. The reveal at the end was enough to get me on board for the next issue. Batman #21 - The Zero Year arc has begun and Scott Snyder plans on providing some insights into some of the holes in Batman's past. Based on the first issue I am hopeful that this arc will be as enjoyable as the Court of the Owls. Batman will even be squaring off against a new foe in this run that should be as fun as solving a riddle! Thumbprint #1 - Based on a novella penned by Joe Hill, Thumbprint tells the story of a woman who has been discharged from the Army after participating in some questionable acts when stationed at Abu Ghraib. Her life at home is not without complication and her world is truly rocked when she is left a mysterious thumbprint in her mailbox. Filled with some of the more disturbing and realistic scenes I have seen in a comic, this one is not for the faint of heart. 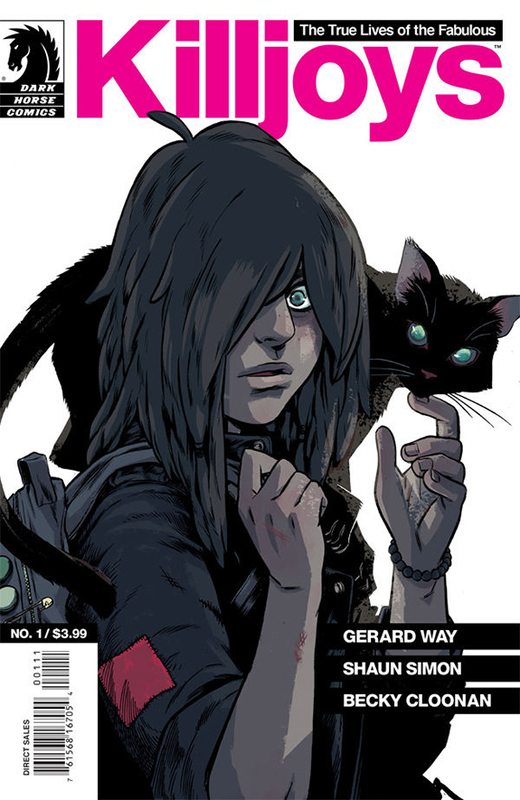 Killjoys #1 - Gerard Way, author of the fabulous Umbrella Academy, has a new series published by Dark Horse. A girl who rode with the Killjoys, a group of heros who were killed trying to stand up to the evil empire of Battery City, may be the savior to the rebels who remain underground in their nest. With her trust cat as the only companion she truly trusts, she relies on the radio waves and a rebel DJ to stay informed. Way pens an interesting post apocalyptic tale that has the potential to be a great series, but we will have to wait and see. Walking Dead #111 - Just when you think things are going to move in a straight line to the inevitable showdown between Rick and Negan Robert Kirkman throws in another wrinkle. Negan somehow becomes more unlikable and things that were looking hopeful for Rick and his crew now seem worse than ever. It will be a tough wait for issue #112.